An ambitious thriller that leaves no one unscathed. It’s the usual story in Finland: a happy nuclear family, their finances in order, the parents employed, the children active and cheerful, always friendly – so the neighbors say. And yet on Christmas Eve the father kills the children in the wife’s presence, then the wife, and finally himself. 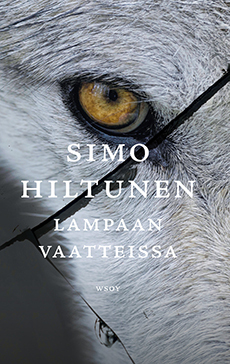 A cross-country tour of the scenes of the tragedies takes Kivi on a journey into his own past, into a crushing childhood and into the life of the daughter he has abandoned. A bruising, black tale laced with biting humor, In Sheep’s Clothing is about violence that is passed down from one generation to the next, but also about forgiveness. Exceptionally ambitious in both language and theme, this is one crime story that spares no one – least of all the reader.